X-Men Apocalypse was a marvelous continuation to the mutant saga. 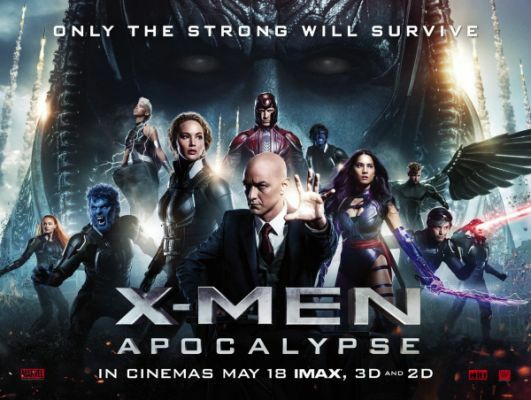 Directed by Bryan Singer and starring Jennifer Lawrence and Michael Fassbender, the story follows the group of exceptional mutants as they defend the world against the most powerful mutant they have ever faced-Apocolypse. The film opens in ancient Egypt, where a society worships mutants like gods. En Sabah Nur is in the process of transferring his spirit into another body when suddenly his transference is interrupted by a band of radicals that will stop at nothing to save their people from persecution. The temple is destroyed and the ceremony stopped, but not before En Sabah Nur is protected several hundred feet under ground. Centuries later En Sabah Nur’s ruin temple is rediscovered and some of his servers awaken him. The now super mutant Apocalypse goes on the hunt to search for the world’s most powerful mutants so he can execute his plan to destroy the world, rebuild it and rule as the god he intended to be. In this film we see our favorites like Mystique, Quicksilver, and Magneto, but we also learn the origin story of how Storm came to be and we find out a little more about Professor X and Magneto’s past, in addition to learning how Jean Gray and Wolverine first crossed paths. It was very surprising to see Hugh Jackman make an appearance and very fitting for Jean’s story. Now we know how she and Wolverine connect they way do. This movie was just great on all levels. The casting was just perfect. The newcomers had great onscreen chemistry and blended into the story extremely well. The storytelling, character plots, action scenes and the special effects were awesome. This movie made up for what Civil War was lacking. I’m actually willing to see this movie a second time. If you are looking for a blockbuster to kick off your summer movie list, then XMEN Apocalypse is the movie for you. I gave this film 5 stars. If you haven’t seen it yet, please go!!! Human Looking Robots: Groundbreaking Technology or the end of Humanity? 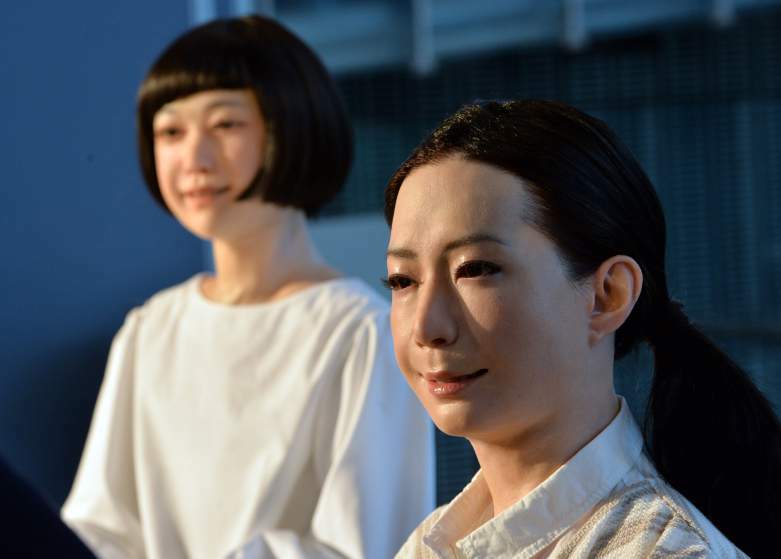 The new humanoid robots named “Otonaroid” (R) and “Kodomoroid (R) are pictured during a press preview at the National Museum of Emerging Science and Technology in Tokyo on June 24, 2014. Japanese scientists unveiled what they said was the world’s first news-reading android, eerily lifelike and possessing a sense of humour to match her perfect language skills. This is the first article that will be included in a three part series that will follow the development of human looking robots in our society. This article will introduce some wild concepts on the subject while investigating the pros and cons of those factors that question’s how far is too far? The New AMC show Humans has opened me up to a new world of technology that I didn’t realize existed in the world of reality. Human looking robots: groundbreaking technology or the end of humanity as we know it? The question remains, could society be headed to having humanoid robots in our homes like cell phones and laptops? The show is very interesting. It had me so intrigued on such a level that it made me interested in the realistic development of robots in the year 2015. First I want to discuss the show and what it’s about. The show Humans takes place in modern London, but in a time where society depends on the help of a domesticated robot to assist with the day to day components of living. The show follows a family—the Hawkins family that struggles with the normal aspects of life. The husband Joe takes on the responsibility of raising the children while the wife Laura spends a lot of extra time at work. The husband feels that with his wife’s constant absence, he needs help with the house. He purchases a synthetic called a synth without the approval of his wife. The children are on board with it, but Laura—the wife immediately feels that she is being replaced and has her doubts about the synth. She voices her feelings about it, but soon decides to keep her feelings to herself. Laura realizes that something is off with Anita and her older daughter Mattie who is a computer genus soon starts to do some research about the synth. Her research leads her to a couple of synths Leo and Max who have been social outlaws for some time. As the story continues, we learn that there are other synths that are connected to Leo and Max, which are walking around with the ability to think and feel like humans. They are on the run so that they can live their lives freely, but not without finding the others first. Niska—a synth that works as a prostitute, Fred- a synth that is being experimented on in a lab, and Anita—the synth that lives with the Hawkins family has no idea who she really is. Niska leaves her job at a brothel after committing a murder, and sets off to find her own way. As a wanted fugitive she tries to blend in with humans as she makes an attempt to reconnect with Leo. On her travels she is led to the doorstep of a doctor named George Millican, a scientist that used to work at the company that first started to create the synths. During her encounter with the ailing doctor she learns more about herself which makes her embrace being human even more. While everyone is adjusting to Anita, she displays some strange behavior that makes the family question her origins. As Laura and Joe continue to struggle within their marriage, Joe crosses the line and sleeps with Anita. He orders her to delete the experience from her hard drive, but the secret of his infidelity comes to light very quickly. Laura takes Anita back to the facility to find out where she came from and learns that Anita is not newly manufactured, but 14 years old. Mattie quickly realizes that Anita’s connection with Leo and other synths is deeper than she thought. After several attempts to alter Anita’s new programming functions, the inscription codes are eventually broken and Anita aka Mia finally comes out as herself. While Mattie learns more about Mia, she also learns that there is so much more to Leo. She finds out that he is half human and half robot. He was the son of the original creator and died in a car accident. His father kept his body on life support and created a digital program for his brain to function, complete with memories and the ability to feel and think like a human. Mattie discovers that once all the synths are together that they have the ability to give consciousness to other synths. After a long and trying journey Niska is reunited with Leo, Max and Mia. While Fred manages to escape the lab to join the others. Meanwhile Hobbs, the lead scientist is determined to get his hands on all the synths so that he can control them and have them as robot/human slaves. The synths just want to be free and have the opportunity to live among the humans as individuals. The synths endure a lot on their adventures to stay out of the lab and the seek refuge at the Hawkins family home, but their stay is not without challenges as they try to fix a now injured Max who risked his life to save Leo. They are soon betrayed by one of their own, Voss—a synth connected to their circle who works as a journalist who has been living her life as a human. She believes that their existence was a mistake and does everything in her power to destroy them. There are so many things going on with this show that made me question where the art of creating robots has developed in our society. I discovered that there is a scientist in Japan named Professor Hiroshi Ishiguro that created a group of human looking robots. He even created one that looks exactly like him. They have the ability to interact with humans on a semi social level. There is even a robot exhibit that demonstrates the inception, evolution and production of modern robots at the National Museum of Emerging Science and Innovation in Japan. Hiroshi Ishiguro stated at a press conference when he revealed two human looking androids to the world, that it is his intention to introduce the world to robots in a way where one day they will be as common to human everyday life, like cell phones. In the show Humans, the robots are “created to make our lives better—easier. They can cook, clean, drive our kids to school, help with homework and even help take care of the sick and elderly. There are new developments in the robotics community every day. NASA has developed a space robot that can go on extended space missions and perform duties that would otherwise put a human at risk. It was announced early August 2015 that the mega company Google has developed a functioning robot. I won’t be surprised to hear that Microsoft, Apple, and Sony are in the stages of developing their own versions of robots. It’s just a matter of time when they reveal it to the public. The society we live in today has entered the digital age. We live in a world where everyone has a cell phone and depends on it to go through everyday life. We get our mail and research through the internet, we do our banking online, we can even shop online without leaving our house for food and other things we need. When you really look closely at this, it can be very scary to see that our world is made up of technology. The things we have seen in the movies like Transformers, Terminator, IRobot, AI and others are not as far-fetched as we may believe. We all have laptops, microwaves, vacuum cleaners, IPADs, and now the new thing is the apple watch. We can all stay connected to each other through social media outlets like Facebook, Twitter and Instagram. If the internet crashes today, our society would crash and people would not know how to handle it. Just think, when your phone breaks, or you don’t have enough bars to get a signal, you freak out and are “so annoyed.” Just imagine what would happen if we lost all of that in an instant. Our society would literary crumble. The stock market depends on computers to survive, most medical institutions are dependent on computers for day to day operations. Our lives revolve around the functioning operations of computers and other forms of technology. The point of me writing this article, is just to voice my feelings on how far does our society have to go to just be satisfied with everyday life? Do we really need robots doing everything for us? In my opinion no, because it makes us too dependent on it and stops us from being able to learn how to take care of ourselves. It stops us from being human. The idea of having robots integrated into our society disconnects us as a group because we are meant to be connected on many levels. For example, the social media outlets in conjunction with cell phones can be viewed as a positive thing that connects us, but it also contradicts what connection really means. Being connected doesn’t mean having a conversation solely via text message or looking at them through a camera lens. Being connected means having a real human interaction that is deeper than any form of technology. It means looking into the other person’s eyes, the touch of a hand, a kiss on the cheek, or even the simplest thing of just physically being in the other person’s company. I’m not saying that having technology is bad, it can be a good thing, but I just think that we as a society need to reevaluate what it means to have technology in our lives and to remember that everything comes at a cost no matter how productive it may appear to be. 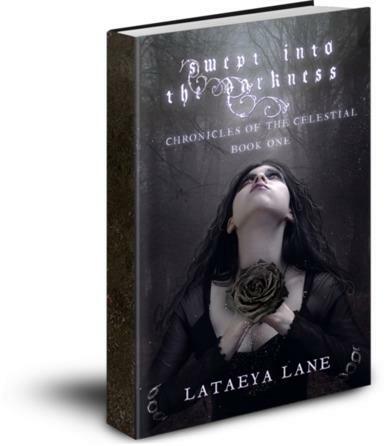 I know it’s been a while since my last post, so I just wanted to mention some of the things that are going on with my book Swept into the Darkness: Chronicles of the Celestial. There will be a winter book tour for my debut novel Swept into the Darkness, hosted by Goddessfish Promotions. The 12 week long tour will start within the next few weeks and will include guest posts, interviews, and some reviews. There will be a prize giveaway of a signed paperback copy of my book and a $20.00 gift card. Exact dates will be announced. 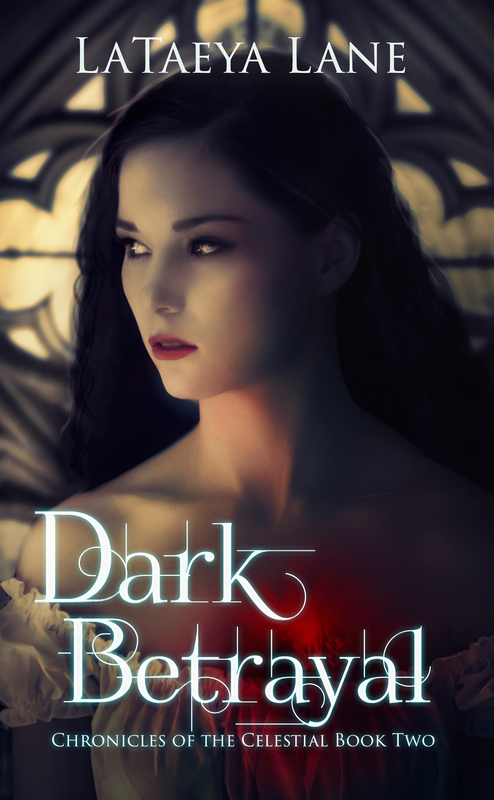 While I’ve been preparing for my tour I’ve been working on editing book 2 of the series called Dark Betrayal, while silmataiously writing book 5, called Dark Revelation. Its really amazing to see how the series evolves. It is a rollercoaster ride that will entice everyone that reads it. Also to kick off the holiday season, I will be hosting a .99 Black Friday special for my book, Swept into the Darkness, purchase available through Smashwords. I will post the coupon code as soon as the promotion begins.